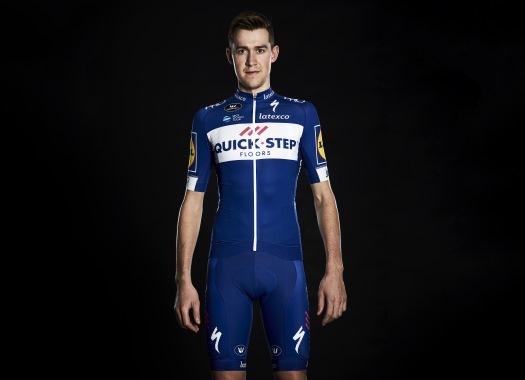 Quick-Step Floors' Laurens De Plus got fined at the ninth stage of the Vuelta a España for insulting a commissaire but he thinks his behaviour was justified. In the press release of the stage of the Spanish race before the first day, it revealed a fine for the Belgian for "insults to a commissaire ". The 22-year-old was fined with 200 Swiss Francs for shouting words to the commissary. "I had to leave the favourites' group of the Vuelta at a distance of around six kilometres to go," explained the rider to Belgian newspaper Het Nieuwsblad. "All of a sudden, a car with a UCI commissaire passed by and cut me off. I was surprised and in anger, I said something like f**k you. Just because I got startled in the middle of my effort. Some Belgian riders like Tiesj Benoot wrote jokes to De Plus about his foul-mouthed behaviour. "I had to laugh about it," he commented. "But I think many riders in my position would have unknowingly said the same if they would have almost got ridden over by a car."